If you haven't checked the weekend weather yet, prep yourself for some awesome news: It's supposed to be a blissful 60 degrees and sunny tomorrow. For us, that means finally breaking out the pastel hues, some cute sandals, and maybe even a higher SPF. 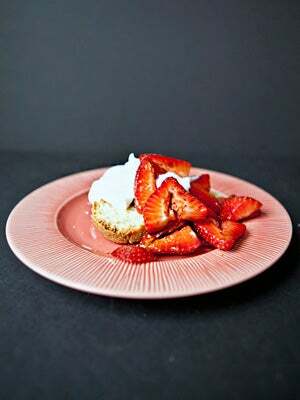 And, naturally, the perfect spring day isn't complete without an equally inspired dessert — which is where Sweetsonian's mascarpone pound cake with whipped cream and balsamic strawberries comes in.